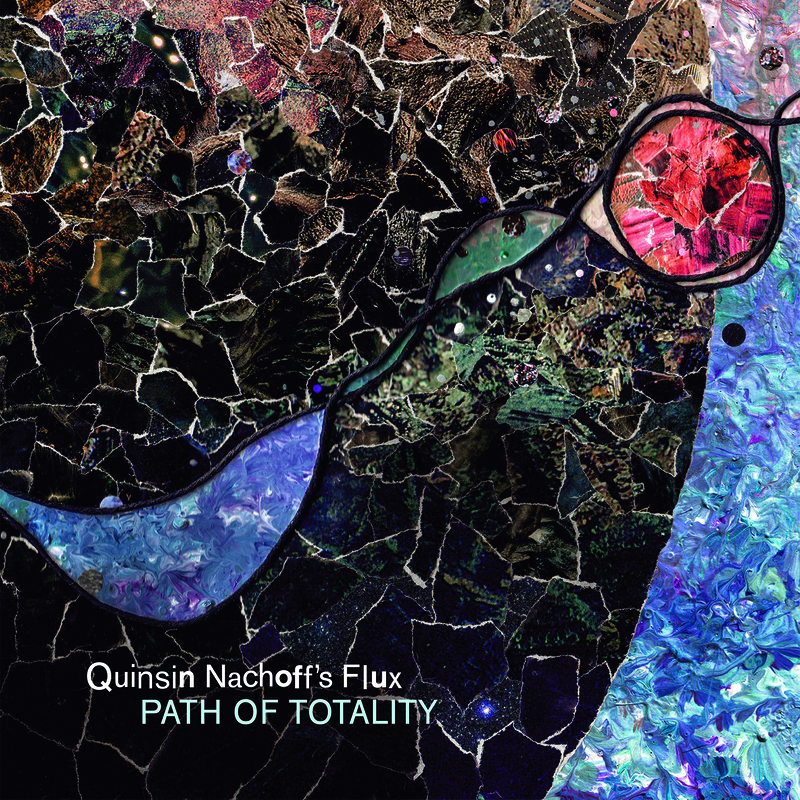 Canadian born saxophonist Quinsin Nachoff has a new double album about to be released in February (2/08) and it's a stunning collection of pieces that run the gamut from free jazz to experimental interactions and beyond. "Path of Totality" Whirlwind Recordings) features his group Flux, a quartet-quintet that has the tenor and soprano saxophonist in the company of David Binney (alto saxophone, C-Melody saxophone), Matt Mitchell (piano, Prophet 6, modular synth, Novachord, harpsichord, Estey pump harmonium), Kenny Wollesen (drums, Wollesonic percussion on cuts 1, 3, 4, and 6), and Nate Wood (drums on cuts 1, 2, 5, and 6) and, my goodness, do they create a sound! Of the six tracks, two are over 19 minutes long, one at 14, one at 13, one at 8:10, and one at 6:36. Each track is different, four have added musicians, and the overall effect is surprising as well as fascinating. There is a part of me that wants to illuminate each track for you while, in reality, you just need to find this album, turn it up loud, and dive in. The project was inspired by a total solar eclipse that took a path from the Northwestern part of the United States across the lower Midwest and into the Southern states. Nachoff, the composer, related the experience to his music, opening his compositions up to different tonalities and ideas that sprang from experiments with melodies, harmonies, and rhythms he had not worked with before. It certainly helps that Flux is such a talented ensemble, that Mitchell can make any keyboard he touches sound unique. 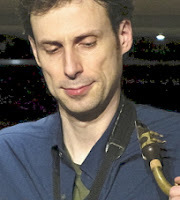 The use of electronics is both subtle and powerful, the addition of a five-man reed and brass section on "March Macabre" creates a huge sound (plus there's also a tap dancer), and the brilliant interaction of Nachoff, Mitchell, Binney, Wollensen, and multi-percussionist Mark Duggan (marimba, vibraphone, glockenspiel, crotales, and Tibertan singing bowls) on "Toy Piano Meditation" creates a mini-Gamelan orchestra that obliterates then rearranges your sense of time. "Paths of Totality" contains so much music you'll need to listen numerous times before you begin to hear all that is going on. Don't be shy as this music will challenge you from note one until the powerful final track, "Orbital Resonances", fades slowly away on the pounding percussion of both Wollenson and Wood. 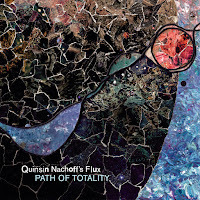 What a treat - Quinsin Nachoff continues to mature as a composer, musician, and arranger and we are the lucky beneficiaries. For more information and to watch a series of videos that goes with the music on the album, go to www.quinsin.com. 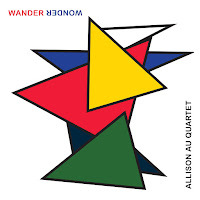 For her third album as a leader, "Wander Wonder" (self-released), alto saxophonist and composer Allison Au opens the program with a delicious curve ball. The sounds of producer Todd Pentney's Prophet Rev2 synthesizer washes over the Quartet not unlike the synthesized sounds that dominated several of Wayne Shorter's CBS albums in the mid-1980s ("Phantom Navigator" and "Atlantis" in particular). 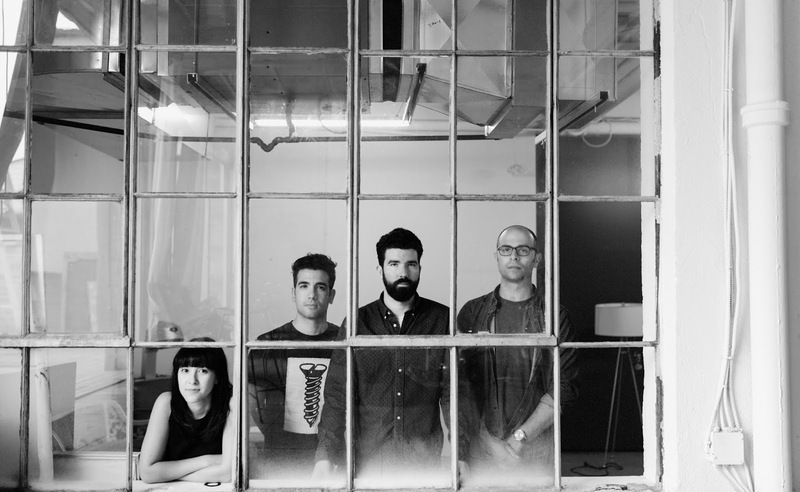 The rest of the program uses the synth sparingly but the sense of experimentation heard at the top of the album, which one can hear on the other albums Ms. Au has made, is heard throughout. With the splendid rhythm section of Jon Maharaj (acoustic and electric bass) and Fabio Ragnelli (drums), the music flows forward. 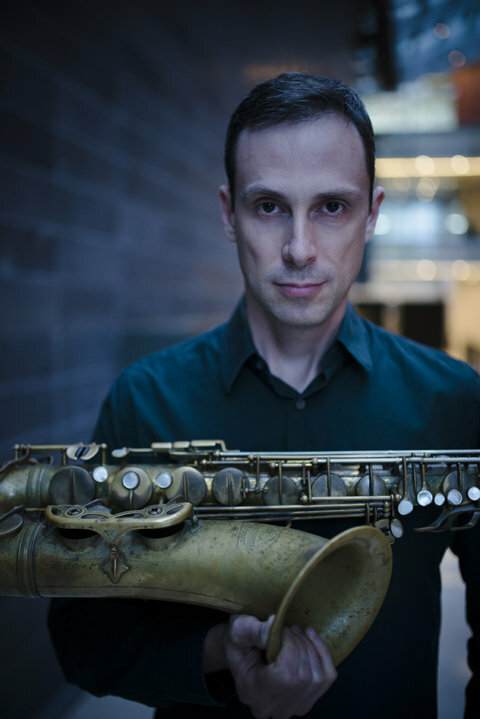 Maharaj is a wonderfully melodic bassist whose counterpoint to Pentney's left hand shines on several of the tracks - that counterpoint can be heard during a number of the saxophone solos as well. Take the time to roll with the music, to follow the dancing alto sax solos that, at times, remind this listener of a bird in flight. Listen to the dancing interactions of "Red Herring" as Ms. Au interacts with Ragnelli while the synth strings color the background. Her alto sax flies easily to the higher registers on "Looking Up" as Maharaj and Ragnelli dance joyously beneath her. Dig Marahaj's thick electric bass lines on "The Rest Is Up To You" and the funk passages the rhythm section falls into under the alto theme. During Ms. Au's delightful solo, the rhythm section kicks with glee (also, notice how Pentney rises out int his solo while Ragnelli gives him a martial beat to move in and around. Really, what I like most about "Wander Wonder" is how this quartet interacts intuitively, how important melody is to each song, how the themes help set up the solos, and how the rhythm section does not play it safe at all. Sit down, let the music wash over you. Close your eyes, listen to each musician. This is also an album to enter on your own without preconceptions; don't worry about influences or who everybody sounds like, just listen. Then, listen again. This is not music for impatient people. Take your time. The thrills on this album are often sublime but they are there to savor. The Allison Au Quartet has won numerous awards in its native Canada and deservedly so. 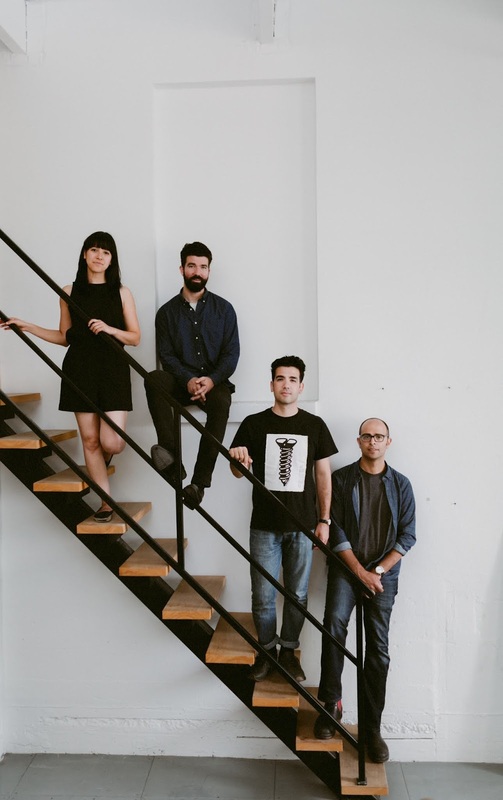 "Wander Wonder" illustrates the band's strengths and how Ms. Au continues to mature as a composer. Check this out!